Hector P. Garcia was built as a K-5 elementary campus in 1998 as part of a bond package that included three elementary schools. Garcia is still a K-5 campus today, serving over 500 students, and is a bi-lingual school, teaching all students English and Spanish. Parents - do you want to be involved in your child's education with your teacher? 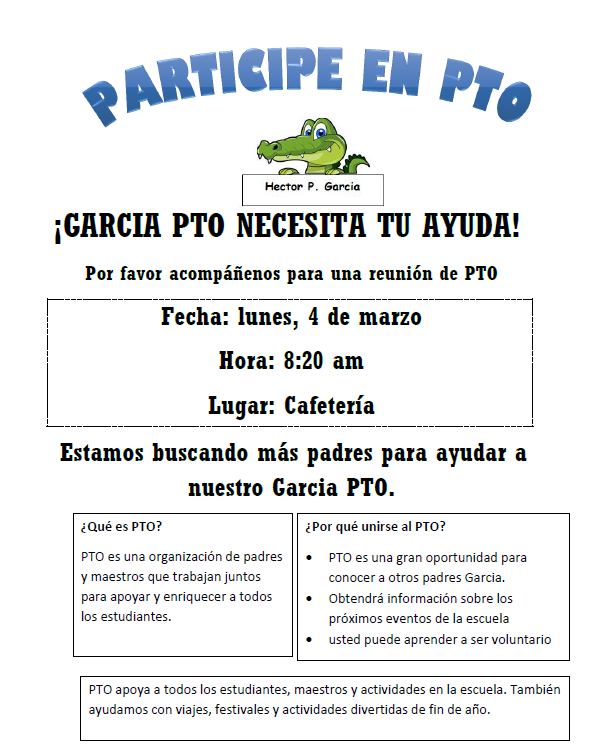 Come to our PTO (Parent-Teacher Organization) Information Meeting and Join!